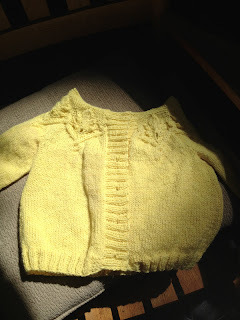 I have been in the process of finishing projects that I had started. 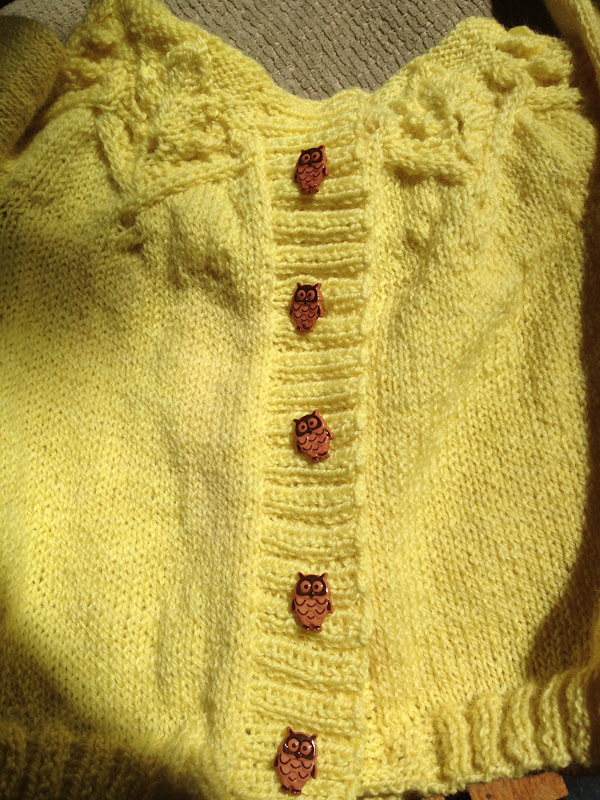 I am almost finished with the "Little Oaks" that I started for my niece. It truly was the perfect pattern for that yarn. 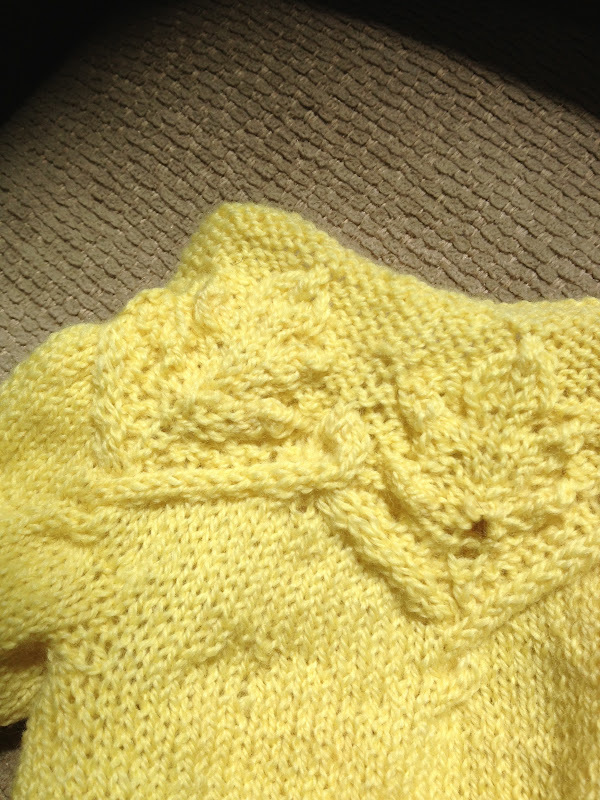 I had barely enough to finish the pattern, and it is beautiful. I just need to figure out which buttons to put on it and it will be done. Opinions? I've been spending time on my stretching machine over the past week. The splits are a work in progress for me. I've had the machine for a little over a week and I've gained almost 10 degrees in that time. 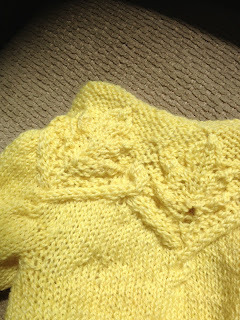 I find that I can knit while sitting on it. In fact, that helps distract me from the pain. I don't crank it up to where it is extremely painful, but I do use it to push myself. I've almost finished my Log Cabin Blanket. 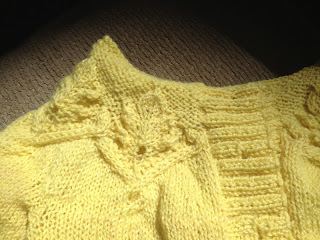 I only have the top and bottom borders left to knit. They each have six rows to them and shouldn't take me long. I figure that if all goes well, I should be done by Friday. We'll see. I've got a lot of other things I need to do besides knit. I have also started working on the thigh high socks in this book. It is my travel project, though, and is in the car, which Gary has at work. I don't have any pictures of it. 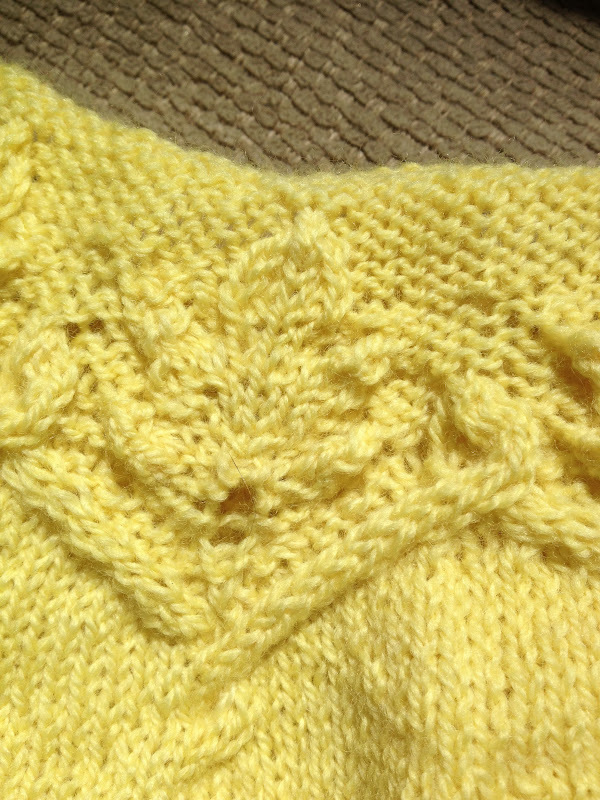 I've only just started it, so I haven't even finished the cuffs. 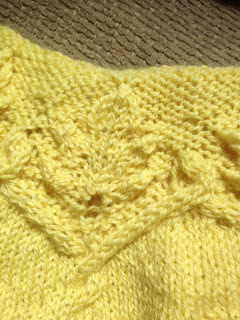 I detest ribbing and can't wait to finish the cuff. 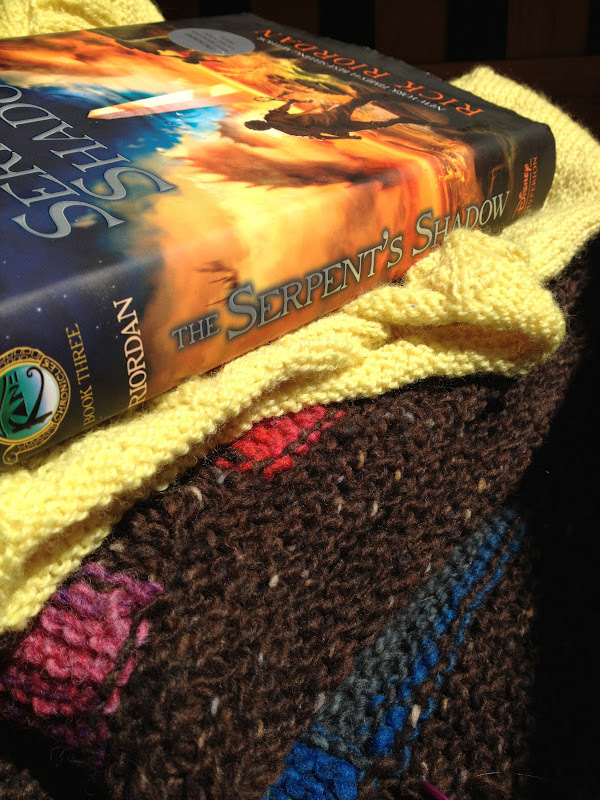 Have you read any of Rick Riordan's books? (Xavier is now wearing the shirt Gabriel has on in those pictures. My how time flies.) We love them at our house. I had only read the first book in the Kane Chronicles, so when I needed to pick up a new audio book, I downloaded the second. I really like the readers for these books. I'm almost finished with the last book, The Serpent's Shadow , then I'll have to find something else to listen to. Do you have any suggestions? I must have a good reader! I'm joining in with Tami and Ginny today. I am in love with all of your projects. 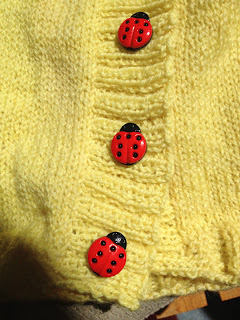 The buttons on those sweaters are adorable. 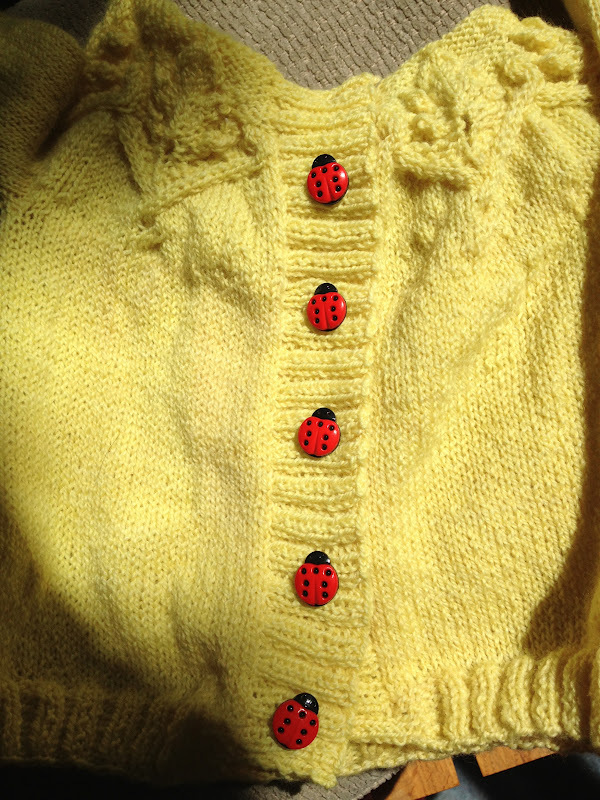 Both sets of buttons are adorable, although I think I prefer the ladybugs slightly more :) Your Log Cabin is gorgeous - almost makes me want to knit Noro! While I love owls, I also think the ladybugs suit that cardigan slightly better. What a great idea to go on a project-finishing spree! Could use a little of that myself . . .
Books... Um, have you read the IQ books? They're pretty good. Madeline Brent!!!! Start with Moonrakers Bride. Or Merlin's Keep. 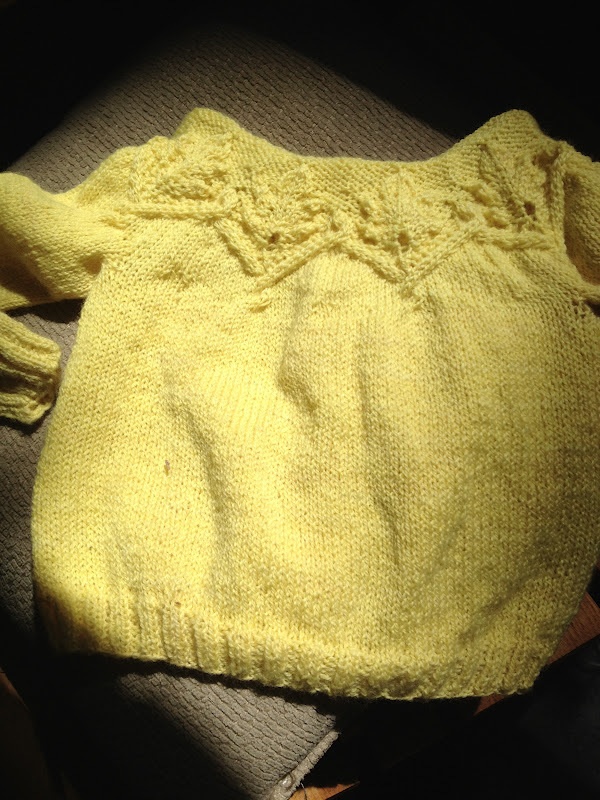 I love the neckline on that little yellow sweater! 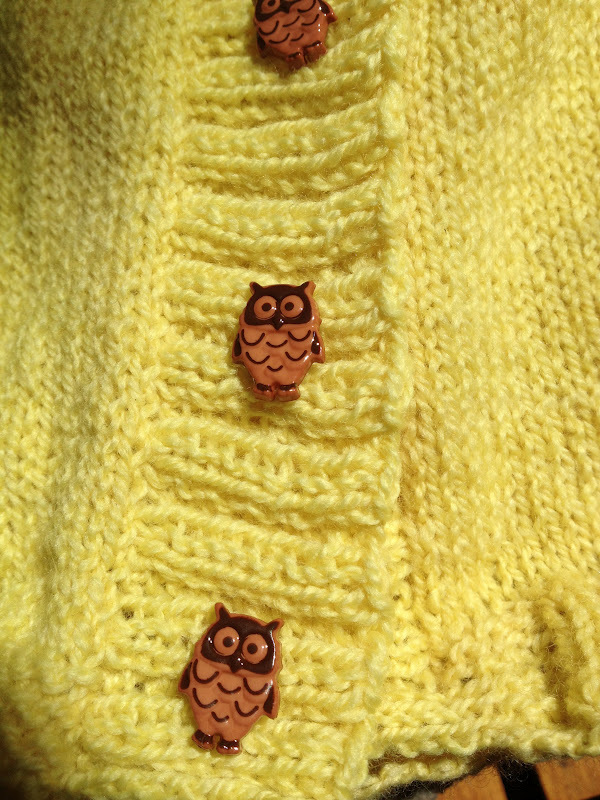 I am in love with the owl buttons. They look so perfect on the little sweater. All your projects are lovely. I', loving the owl and ladybug buttons too, it adds a nice touch. I love the ladybug buttons! That sweater is super cute.